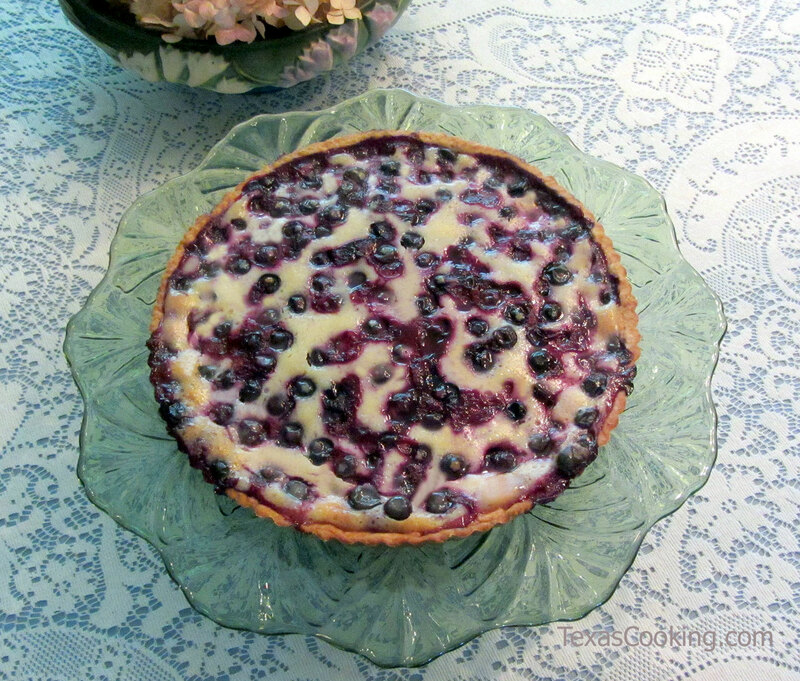 In addition to being scrumptious, this tart is beautiful and impressive. If you don't have a tart pan with a removable bottom, I highly recommend that you get one. You can buy good tart pans on amazon.com. The 10-inch (9.875 x 1.75 inches) tart pan used for this recipe has a non-stick surface and removable bottom, and it works great for both tarts and quiche. Also, the following instructions for making the tart crust utilize a food processor. This is an excellent way to make pie crust, too. It's quick, foolproof and you don't have to worry about overworking the dough. Of course, if you don't have a food processor, you can rely on your own two hands and your trusty pastry blender. To make the crust, put the flour, salt and sugar in a food processor. Pulse a few times to blend. Add the butter pieces to flour mixture, and process about 10 seconds until mixture is consistency of coarse meal. Turn dough out and wrap securely in plastic wrap. Refrigerate for 1 hour. Roll out the dough between two sheets of waxed paper into a 12-inch circle. Peel away the top sheet of waxed paper, turn the dough over, and center it in a 10-inch tart pan. Peel away the remaining waxed paper, and fit the dough to the pan, trimming the excess flush with the edge of the pan. Put the dough-filled pan in the freezer for about 10 minutes. To partially bake the dough, line it with foil and fill with pie weights or dried beans (or prick the dough many times with a fork and hope for the best). Bake for 15 minutes and remove from the oven. Remove the foil and pie weights. While the dough is baking, make the filling by combining the sugar, flour and salt in a mixing bowl. Add the sour cream, egg, almond extract and lemon juice, and stir until well mixed. Fold in the blueberries. Pour the filling into the partially baked crust. The filling should be almost even with the top of the pan. Bake for 50 to 55 minutes, or until filling in the center is just set. Note: If you are using a metal tart pan with removable sides, let the tart cool before removing the outer ring of the pan.